Kids’ Summer Camp: Art Around the World! 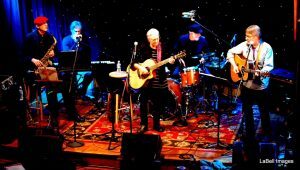 Join us while we travel the globe without ever leaving the studio! While expressing themselves creatively and getting to know one another, campers will learn a bit of geography, history, chemistry, and geology. Physical activity is sure to be part of each day, whether we go for a walk on a sunny day, or play active indoor games. Camp runs 10am- 3pm each day. $300 per child ($275 for each sibling). 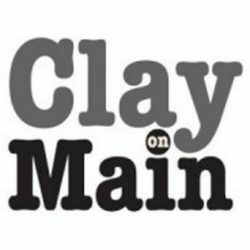 Clay on Main will provide snacks, but please pack a lunch. To register a child, CLICK HERE, or call 610-987-0273. Please call to register multiple children for a sibling discount. 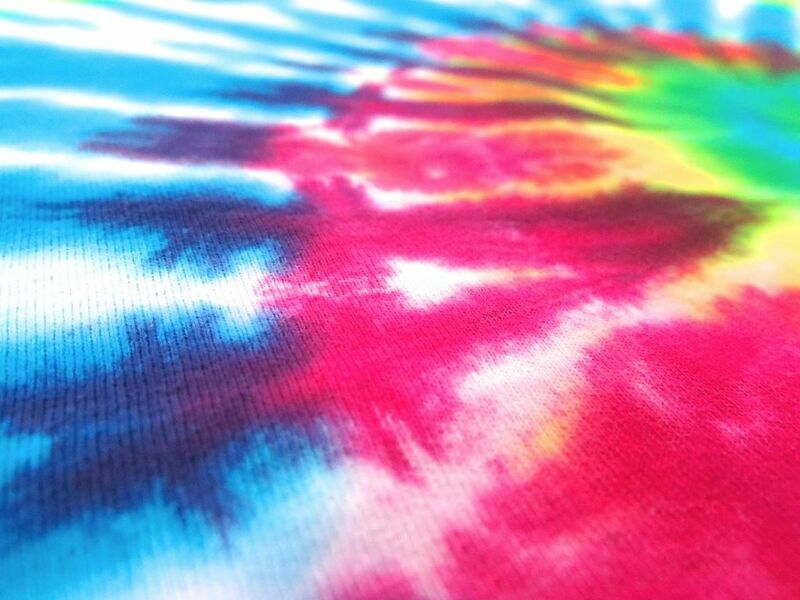 Tie-dyeing is a simple craft that’s fun to do with friends. We’ll provide t-shirts, or bring your own shirt or other piece of fabric (cotton only, please!) Dolores and JoAnn will use their knowledge of color theory and textiles to help you create a vibrant, harmonious combination of color and pattern. Register at least one week prior to workshop to ensure enrollment. All materials included. Our workshops are family-friendly; children 12 and under need to be accompanied by an adult. To register online for this workshop, click HERE. Join Sandra Britland as she guides you through the process of using wool to felt in different applications. 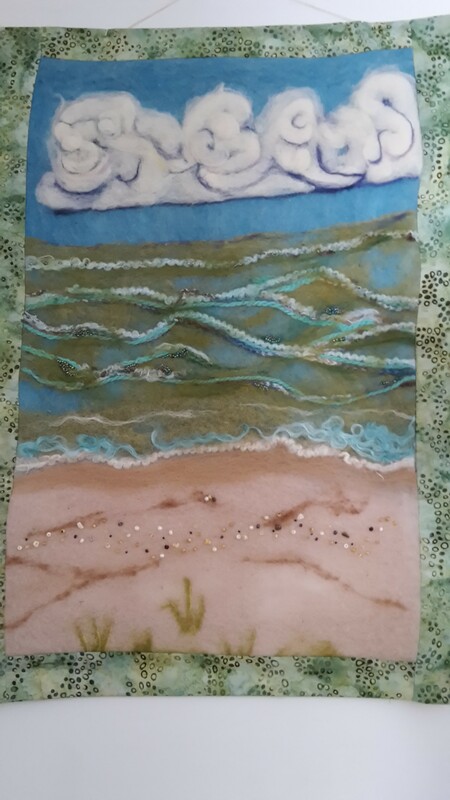 You will create a piece working with wet felt to create embellishments, use needles to add more decorations, and finally prepare your piece as a finished product. 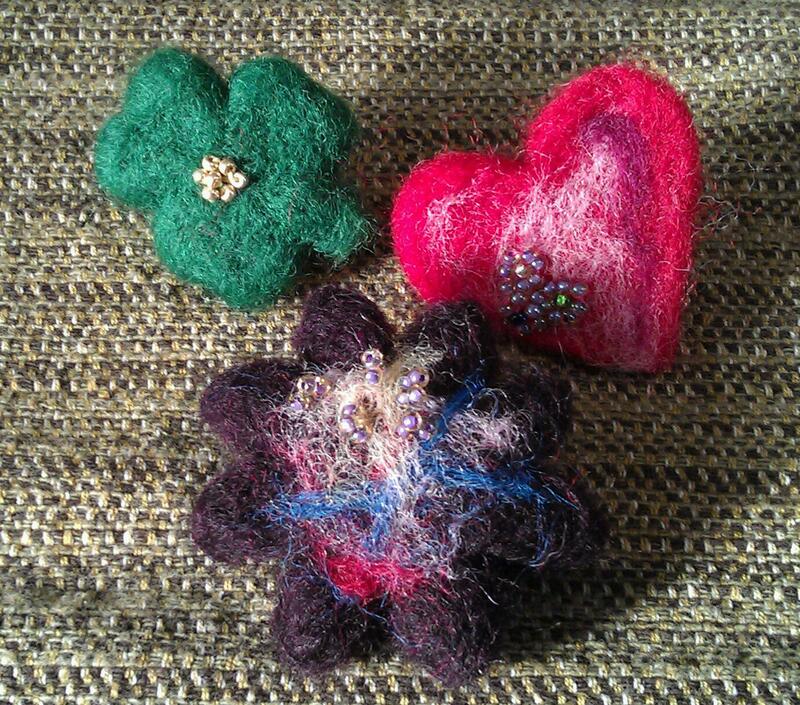 These two sessions complete the Felting Basics 4 Part Series, but drop-ins are welcome. No experience necessary, all tools and materials provided. 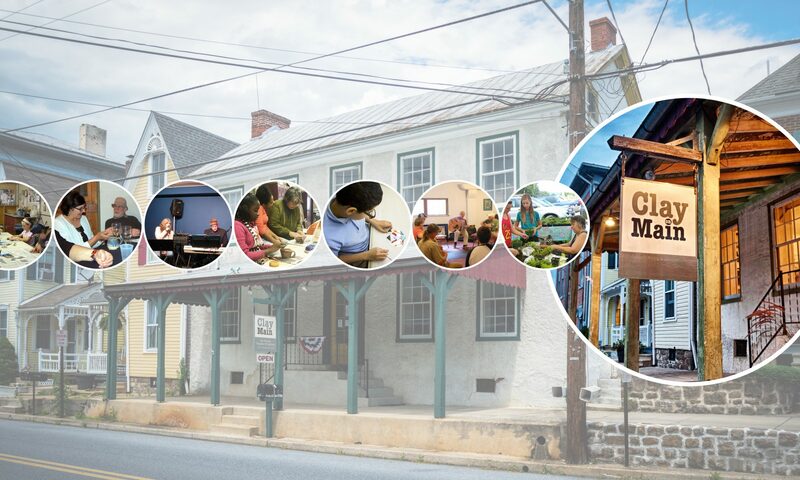 Register HERE, or call the studio at 610-987-0273. Schedule a private crafting party today! 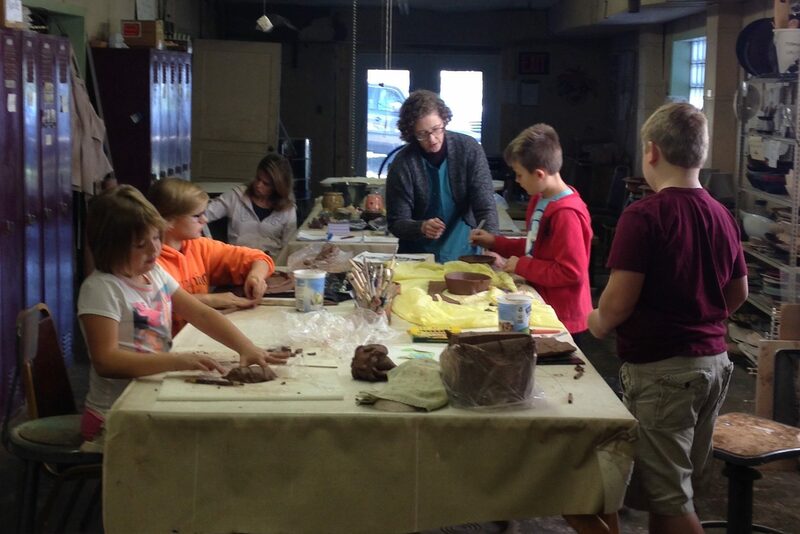 Clay on Main is happy to announce the addition of private crafting parties to our repertoire. Creating arts and crafts is a wonderful way to spend time with friends and family. 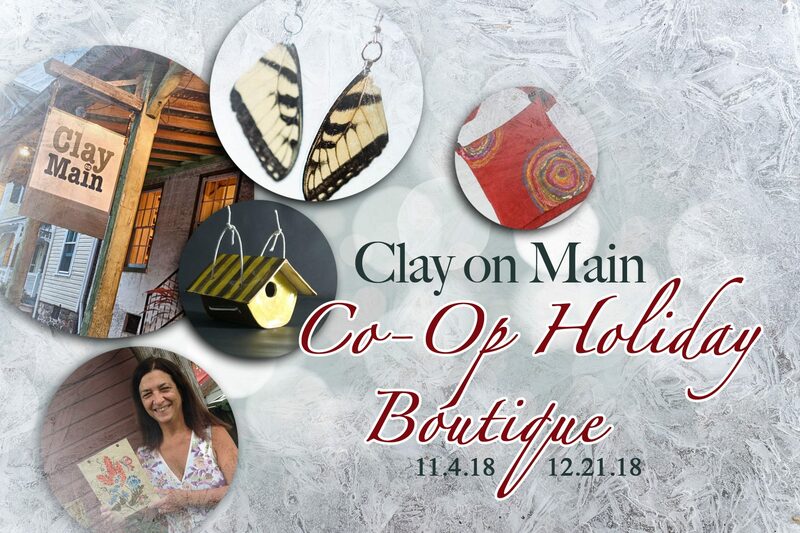 Clay on Main can schedule a time for your group to come out to our studio, where our skilled instructors will guide you through a simple and fun activity. In addition to enjoying some good company, you and your guests will learn and new skill and get to take home a beautiful handmade work of art. We can work in ceramics, fused glass, and felt, so you can choose the medium that suits you best. The fee is $20 per person for the two-hour session ($100 minimum), and includes materials. Call or email to schedule: clayonmain@gmail.org or 610-987-0273. Enjoy a cozy morning working with felt, a wonderfully accessible, friendly, pliable material. In addition to functional items such as hats and purses, felt can even be shaped into whimsical sculptures. 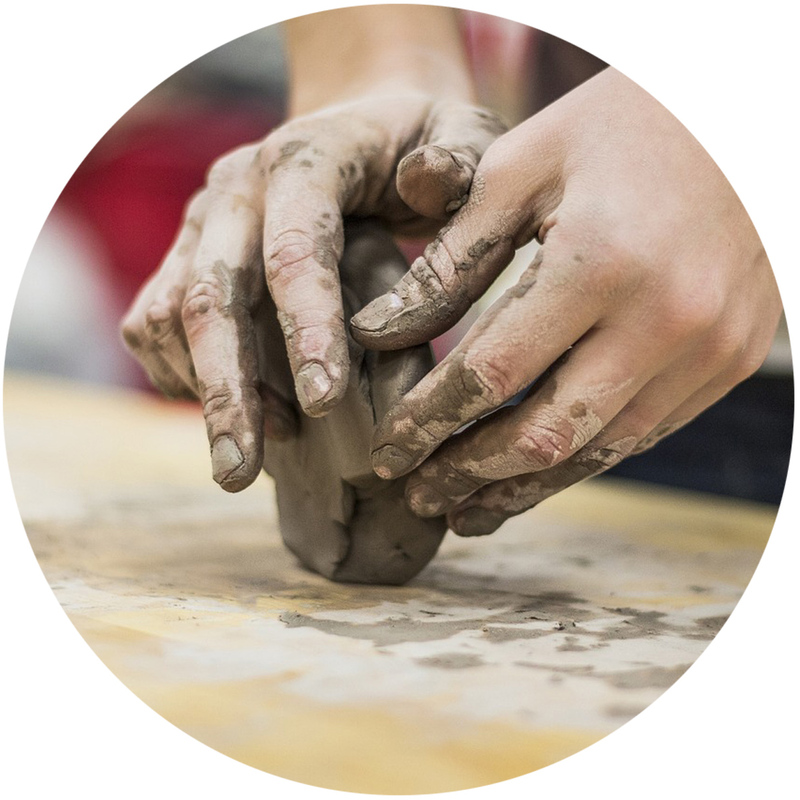 Come to Clay on Main to gain some new skills and spend time working with your hands under the expert guidance of Sandra Britland. Want to register online? CLICK HERE! You can also register by calling the studio: 610-987-0273.